From Left to Right: Frances Podrebarac, Jenny Whiteside, Daniel Lienhoop, Dennis Brooks, Nate West, Evan Clouse, Heather Shireman, Chris McKinney, Clint Harrison. Heather started at the district in April 2011. She grew up in Hendricks County, Indiana. Afterwards, she attended Franklin College, and received a B.A. in Biology & Chemistry in 2009. She now resides on the West Side of Columbus with her husband, Glen Shireman, and their son, Adam. Heather is a big supporter of Backyard Conservation. Heather enjoys hunting, fishing, and Green Bay Packers football. Jenny started as the new watershed coordinator in January 2013, and has now moved into a part time position with the District as of 2015. 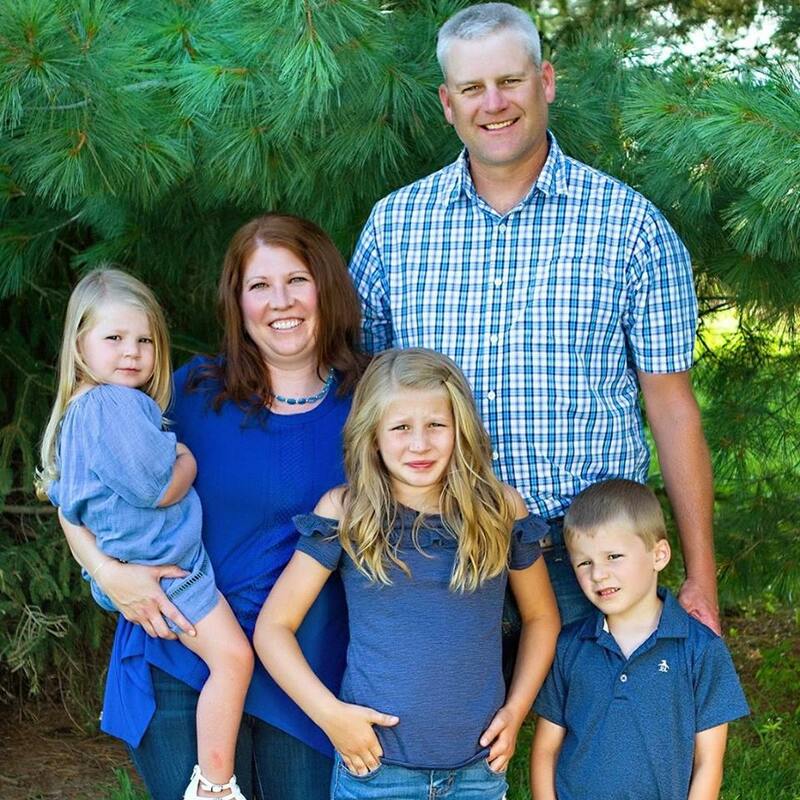 She and her husband Ben raise sheep and they currently use many conservation practices such as no-till, waterways, and planting cover crops in their grain operation. They have four daughters Allana, Eliza, Lydia, and Audrey. Clint Harrison (NRCS District Conservationist)- Clint Harrison grew up in Rural Decatur County and still lives there, just east of the Bartholomew County line. He attended Purdue University and earned a Bachelor of Science degree in Animal Science-agribusiness. He has worked for NRCS for 16 years in Dearborn, Decatur, Fayette, Franklin, Ohio, Rush, Shelby, Union, and now Bartholomew County. 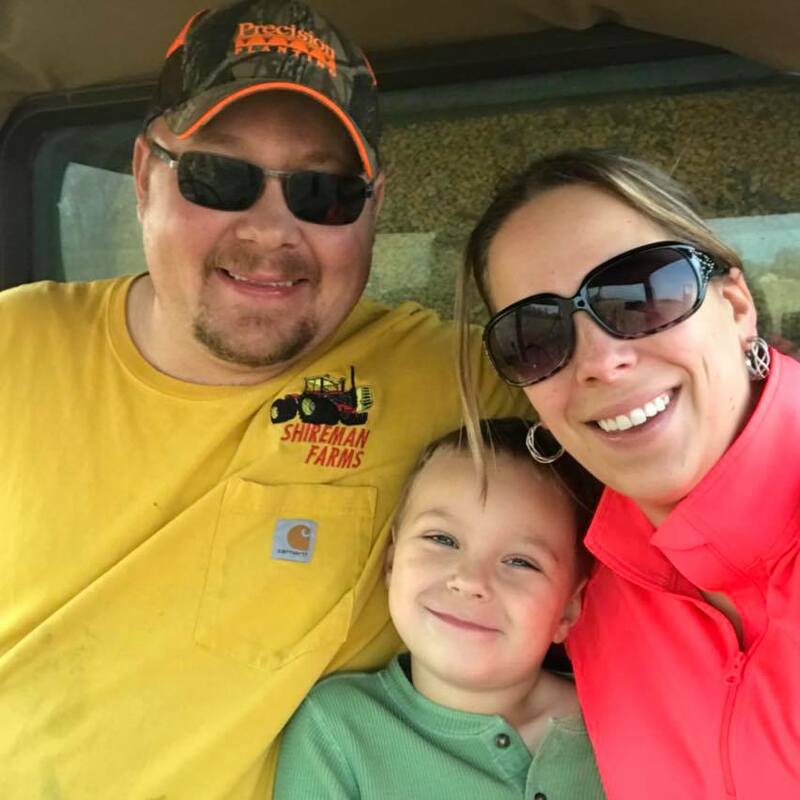 Clint is involved in a Grain Farming operation with his father-in-law and brother-in-law in Jackson Township in Decatur County. They also have a 90 cow/calf operation where they raise breeding stock and show cattle. Clint is married to Jane (Evans) Harrison and they have 3 children, Raygan, Grady, & Caroline. Dennis was elected Chairman of the SWCD Board in 2011. He is a life long resident of Bartholomew County. Dennis was raised in Grammer, IN. He spent three years serving in the U.S. Army and retired from the Columbus Fire Department in 2012 after serving since 1981. Dennis and his wife Debbie have two children, Jason and Jennifer, and three grandchildren, Avery, Claire and Jared. Dennis followed in his family’s footsteps and became a small-town farmer in Elizabethtown, IN. His farming operation has been continuous no till since 1986 with many filter strips and waterways. Chris operates a grain and livestock farming operation in his hometown of Hope, Indiana and drives for the US Postal Service. Conservation practices on his farm include minimum and no-till operations and installation of waterways. He graduated from Purdue University. Chris has been active with many activities such as Young Farmers, Fair Board, and the Hope Ride, along with being Treasurer of the Farm Bureau Board, and the Trustee, Deacon, and Moderator of the First Baptist Church of Hope. He is married to Jackie and they have two sons, Austin & Dalton. Nate earned a Bachelor of Science degree in business management from Indiana University and is an Indiana Farm Bureau Insurance Agent. Nate and his wife, Phebe, reside in Grammer and have two children, Ruthie and Theo. They are members of The Outreach Church. Nate is the local coordinator for the US Marine Corps Reserve Toys for Tots Program in Bartholomew and Jennings counties. In his spare time, he enjoys spending time with family, working on classic cars, and working on projects around his home. Evan runs a grain and livestock farming operation in his hometown of Hope, Indiana. Conservation practices on his farm include no-till operations and waterways. Evan has served on the FSA board and currently serves on the Hope Moravian Church’s Board of Trustees. He is married to Janet, and they have three daughters, Jodi, Jennie, & Jackie. Julie joined the SWCD in 2018 as an elected supervisor. 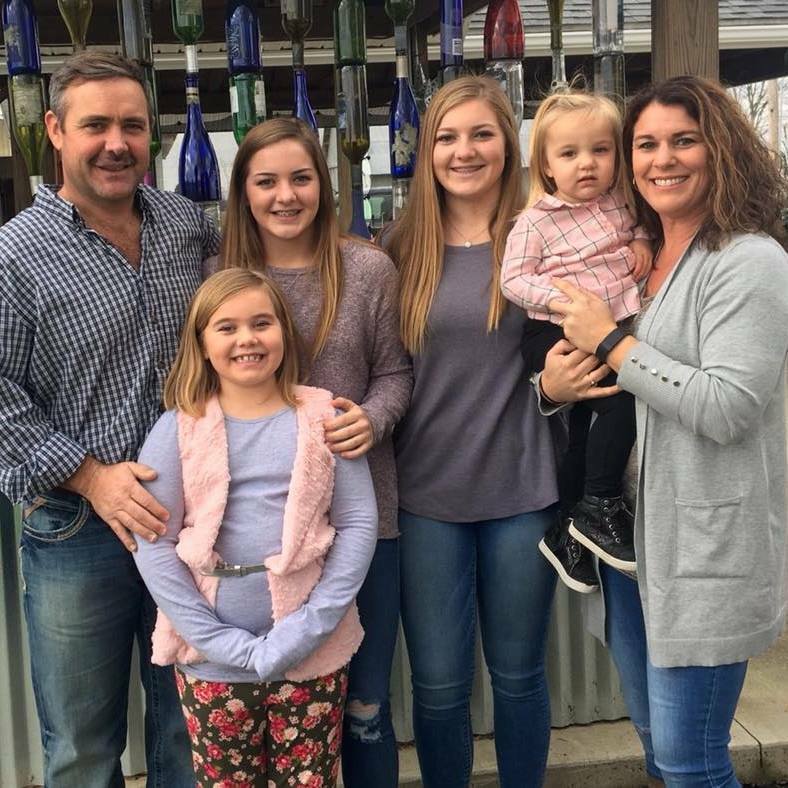 Julie Hoene and her husband Ben live on a small farm in southern Bartholomew County with their two daughters Emily and Betsy. They raise feeder cattle. She has a master’s and bachelor’s degree in elementary and special education. Julie taught for seven years at Seymour Community Schools before staying home to raise their children. She currently owns and operates Julie’s Farm Fresh LLC, a hydroponic greenhouse growing a variety of lettuces. The greenhouse uses 90% less water than traditional practices. Some of the conservation practices used on their farm include cover crops, filter strips, and tilage. She is a 4-H leader, serves on the Bartholomew County Farm Bureau Board, and is a member of St. Peter’s Lutheran Church. The Bartholomew County Soil and Water Conservation District provides quality assistance and education empowering the citizens of Bartholomew County to conserve and protect natural resources.